2017 is over and looking back we can’t decide if it was a great or a terrible year. 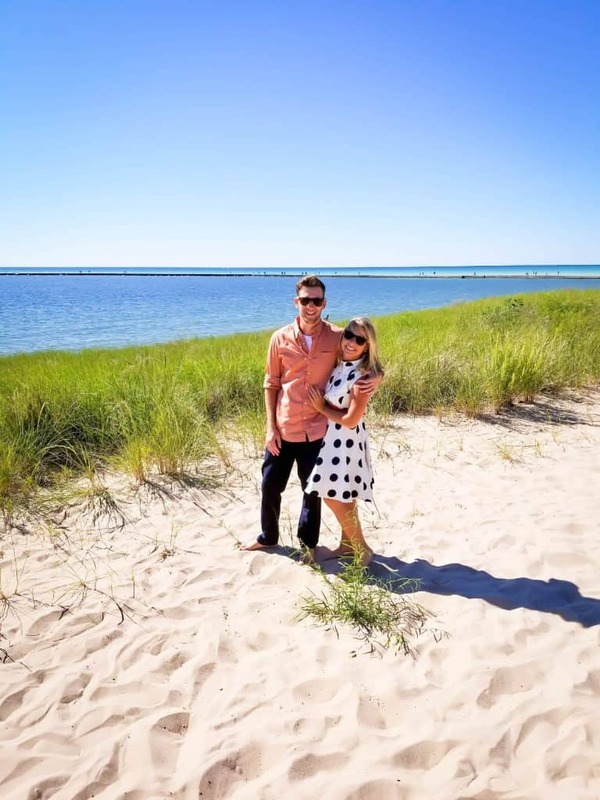 Travel and blog-wise The World Pursuit had a fantastic year starting off in Africa, and bringing us back to a few of our favorite spots in Europe. 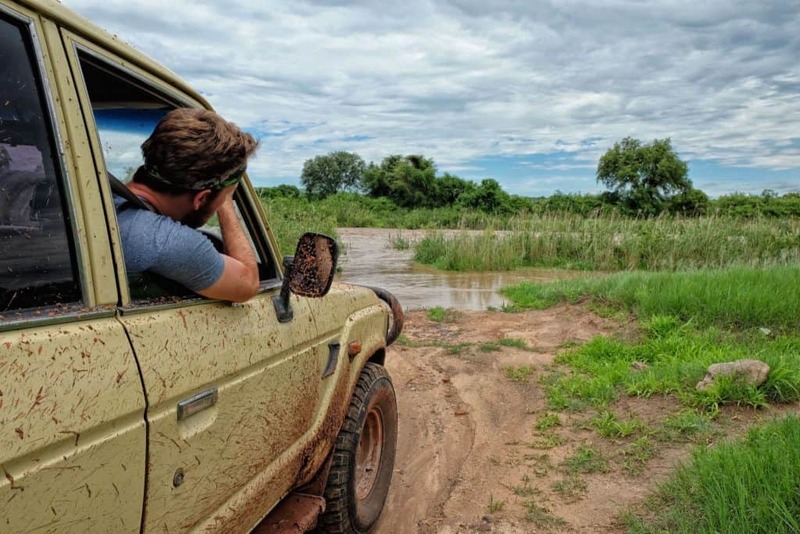 We traveled to 15 countries, took 32 flights, and covered over 40,000 miles – much of that overland! Plus we found out how beautiful Scotland was, and decided to go back three months later! Personally, it was a tough year for both Cameron and I. 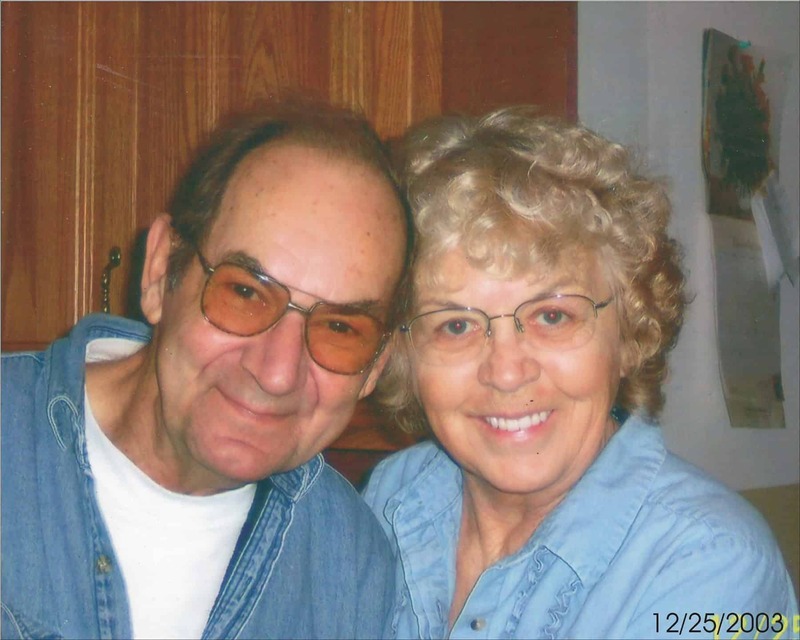 We both experienced a couple deaths in the family, never found the temporary home we had hoped for, and let the blog take over our relationship. To many people, our lives look like a neverending vacation. While we are grateful that we have been able to turn our passion for travel into a job, work from anywhere, and set our own hours the truth is we too get tired, discouraged, burnt out, and deal with many problems just like everyone else. I’m not complaining as we are very fortunate, I’m just trying to be truthful with you all and show a glimpse of the ups and downs we go through. This is the first time we have written one of these posts, but we have both decided that we need to be more personal with our brand and blog in 2018. I also wanted to put this post together for ourselves, to help us remember the struggles and accomplishments we had this past year and how we move forward with our future travels. Here’s a look back at the highlights, lowlights, and plans for the future. If you have been following our blog for awhile (thank you!) you’ll know that we tried to tackle a massive dream in Africa. We bought a Land Cruiser in Cape Town, with the intention to drive it as far north as we could. When we were traveling around South Africa we had never intended to spend a year in Africa or to buy a car. But to be honest, after traveling around a few of the Southern African countries we fell in love (hello Mozambique!) and wanted to travel more of it on our own. After almost two months in Cape Town and dealing with South African bureaucracy, we had managed to get our hands on a 1989 Toyota Land Cruiser that we named Charlie. We drove around South Africa, Mozambique, Swaziland, Lesotho, Namibia, Botswana, Zimbabwe, and spent the new year at a party in Lusaka, Zambia! From Lusaka, we drove 1300 kilometers in the wrong direction during the rainy season in Africa, which was not a fun time. After that, we had some much-needed relaxation time on the shores of Lake Malawi for a few weeks, before setting off for Tanzania. 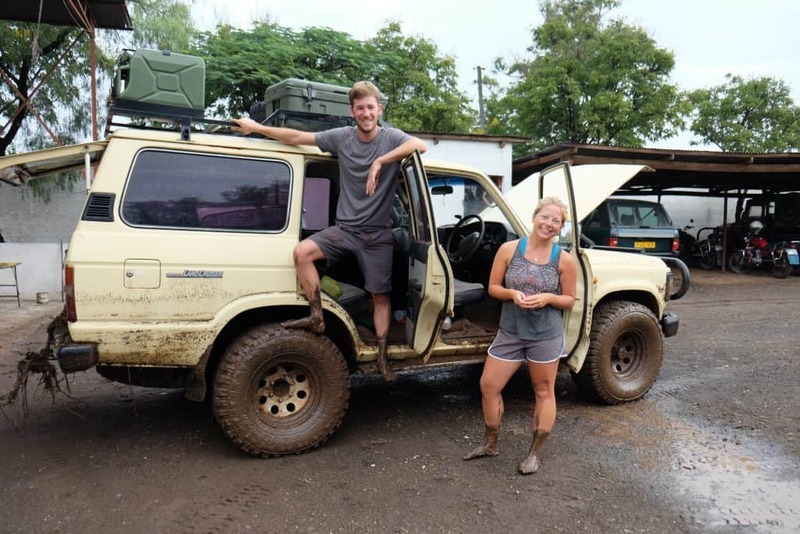 Our goal was to drive into the bush of Tanzania and do more of our own bush camping in the middle of nowhere. However, we were eight months into our Africa adventure and we were downright exhausted. We made a beeline for Zanzibar and ended up eating fresh seafood and enjoying the turquoise water and Swahili culture too much to leave. From Zanzibar, we made our way back to mainland Tanzania and continued on our overland journey. Then one night, disaster struck. As we were in a bar hiding from the rain while camping commotion hit. A dam nearby had burst and the campsite we were camping it was in the direct path of the flood. 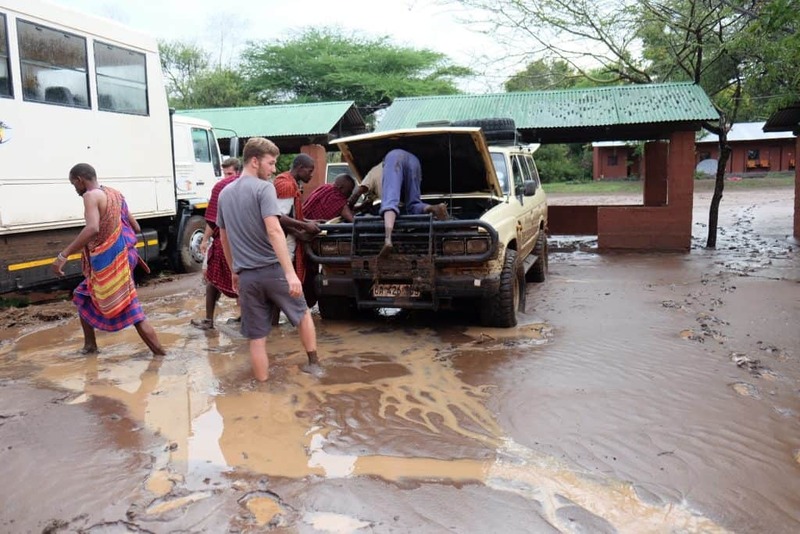 Our tents and belongings were floating in muddy water, the Maasai guards were screaming for everyone to get to high ground, but our car was in the middle of what was quickly changing from a waterlogged campsite to a flash flood. With moments to make a decision, we bolted to the car, waist deep in water to retrieve our passports, cash, cameras, laptops, and anything valuable. It wasn’t the wisest choice to be caught in dangerous waters, but it was a quick one. Cameron was convinced the car would float away, while I was crying thinking our whole Africa trip was over and our car and investment in it were gone. It took a few minutes to realize how selfish I was being. There were people with homes, children, and livestock in danger and not to mention the owners of the now destroyed campsite watching the thick mud engulf their home. After the amazing staff at the Snake Park Arusha gave us some dry clothes and a room for the night all we could do was sleep through the rain and hope for the best in the morning. We woke up to a complete mess, but our car, although damaged and needing repairs was still intact and everyone was safe. Although, we were told that a slew of unfortunate goats got caught in the disaster. The flash flood was the weakest point of our trip and something we don’t talk about often. We never wrote about it on our blog, but Australia’s largest news site asked for an interesting piece from our trip, so you can catch the full read here if you are interested. 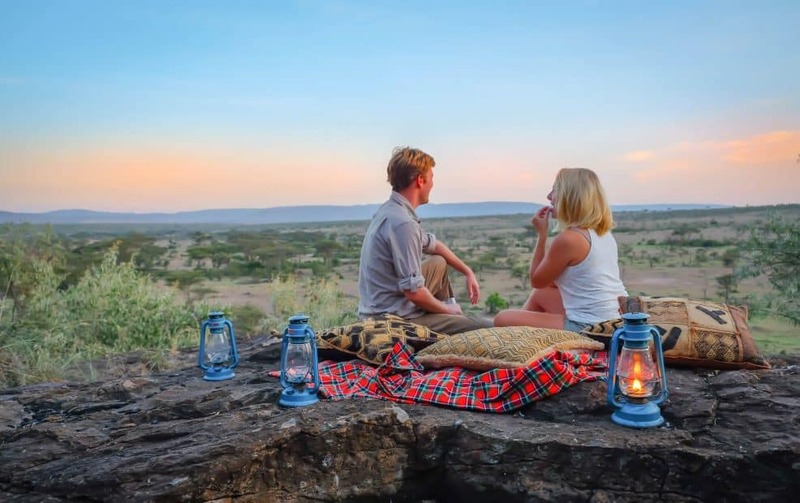 By this point in our trip, our blog and social channels have become quite the authority on Africa related content, and we now consider ourselves somewhat of safari experts. 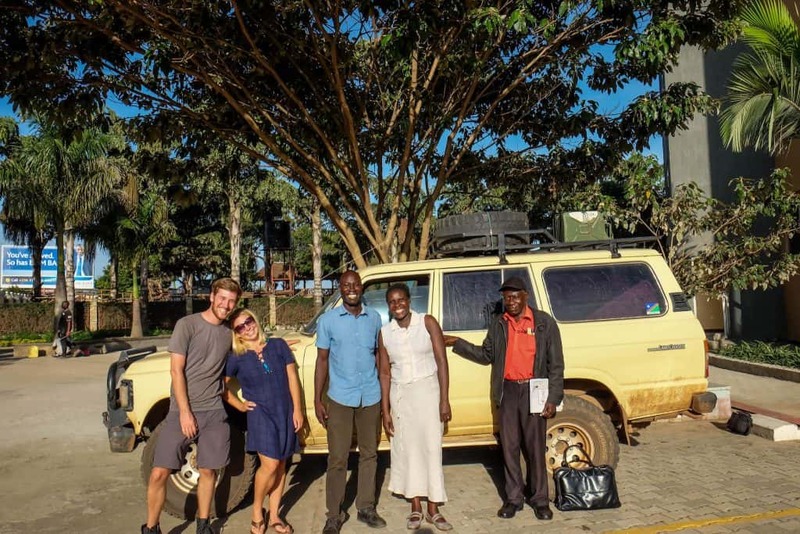 We were being approached by safari and tour operators who wanted to work with us, and still are a year later. 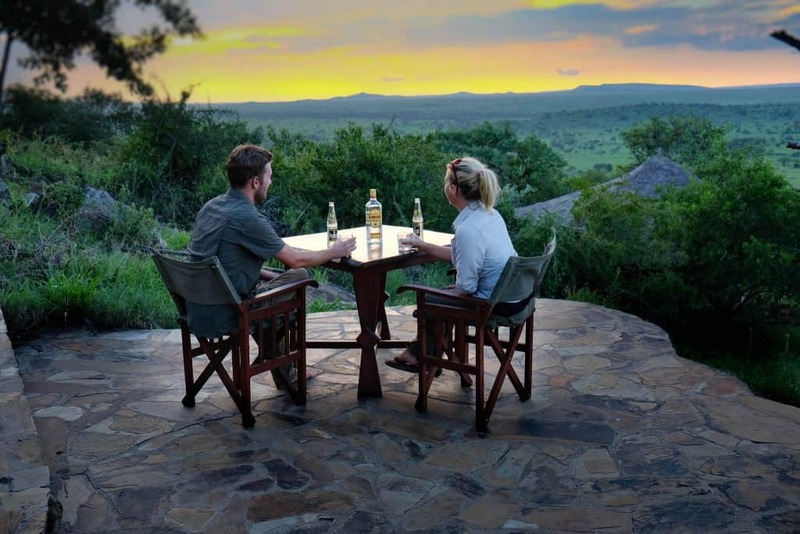 An African safari is by no means a cheap endeavor so we were fortunate enough to partner with many brands and tourism boards to go on many wonderful safaris and provide our follower’s the information regarding safari in Africa. It was the first time all our hard work was really starting to pay off and we are proud of what we have seen and done. 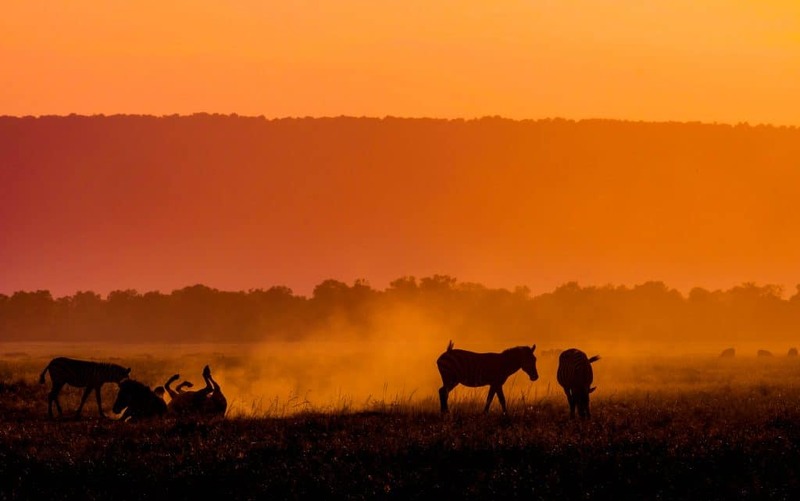 It took two months to go to the Masai Mara, Nairobi National Park, Diani Beach, South Luangwa National Park, Kafue National Park, Lower Zambezi, Mana Pools, Hwange National Park, The Selous, and Ruaha National Park. At one point we were canoeing down the Zambezi River with hippos and crocodiles, while camping along the river banks, and living in the wilds of Africa. A week later, we were woken up by elephants rubbing against our tent to munch on some tasty leaves. There is nothing quite like coming face to face with the most dangerous and incredible land mammal in the world with a screen mesh between you in the middle of the night. Looking back at it now we can’t believe it all happened. 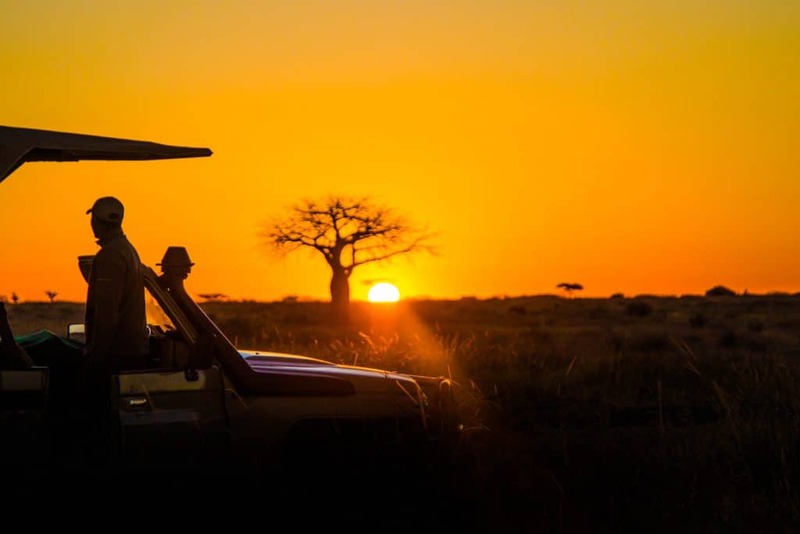 After a year traveling around Africa, it is amazing and we are dying to return. It’s one of the last places on earth that feels raw and wild, and even that is unfortunately disappearing. My grandparents had been in bad health since I was in college so I can’t say it was a complete shock when my grandfather passed away in March. I was camping in the middle of Rwanda when it happened, so I didn’t find out until I had reconnected with the world and WiFi while on Lake Kivu. Although it wasn’t unexpected I had talked to my parents just days before and all seemed well. It was the first time I had ever experienced someone close to me dying and I was crying on the inside and out. I didn’t tell anyone about it because I am terrible when it comes to talking about death and anything personal. It was hard for me to be so far away from family at this time, but my parents pushed us to complete our Hashtag Africa trip. I didn’t know what to do, so I decided to stay in Rwanda – which I’ll never know if I made a good or bad choice. Less than a month later my grandmother passed away when we were yet, again, in the middle of nowhere. This time I was shaken up and shocked, for I had just spoken to her a few days earlier and all seemed very well. I knew right then that she wanted to be with my grandfather and although I was sad, I was happy that all their suffering from health issues over the years had come to an end. Again, I stayed in Africa to finish out the next four weeks that we had planned before returning home. Am I a terrible person for not going to their funerals? Sometimes I think that I am, but I am happy for all the time I had with them when they were alive as we were very close. We made it home the beginning of June and we were both very much relieved for some rest and to be near family. Not long after returning stateside Cameron’s grandfather passed away as well. 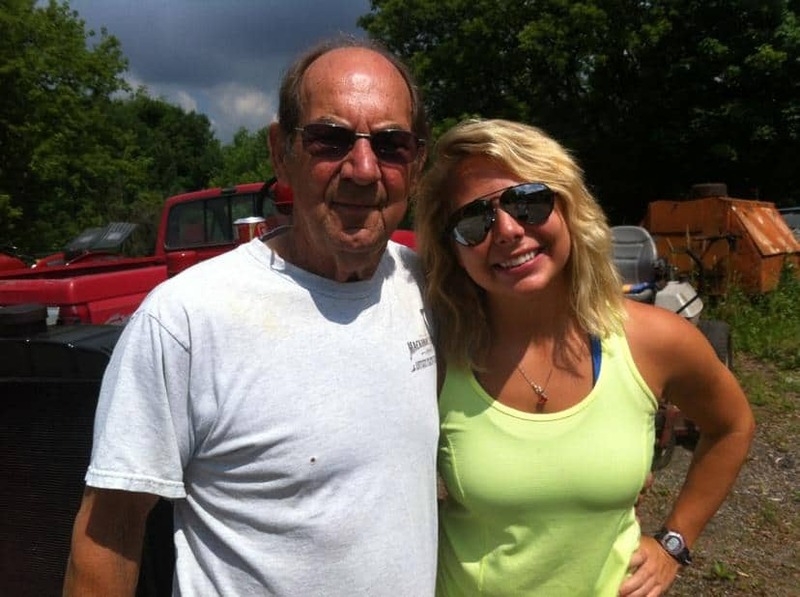 He had also been suffering from cancer from the past year, but the family thought he was doing quite well for a man of 81. I’m just happy that Cameron was home with his family in North Carolina and was able to see him before he died. It wasn’t all deaths and sadness this year. 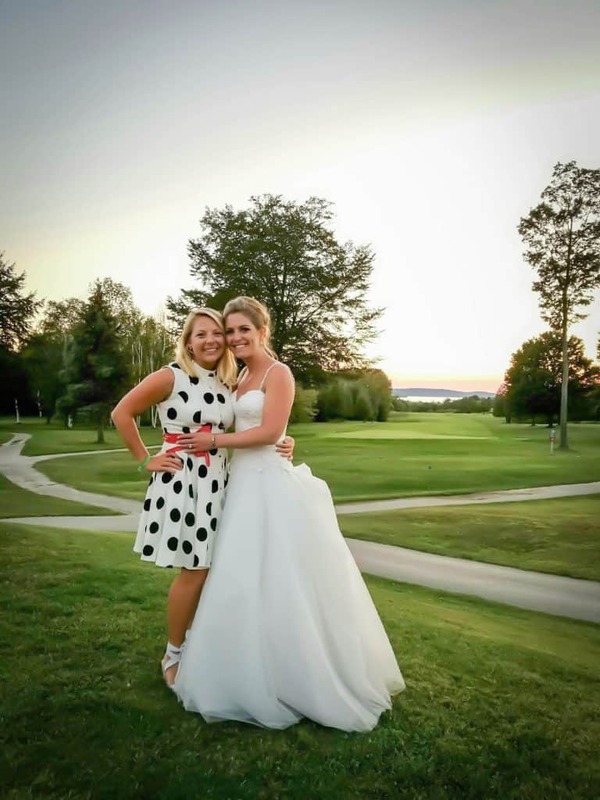 I got to attend two weddings while I was home in Michigan! It had been almost two years since we were home in the US and after our year-long trip in Africa we were both ready to stay put in one spot for a bit and see family. I went home to Michigan while Cameron went to North Carolina. I love Michigan in the summertime, being around family and friends, and living without expenses while visiting home never hurts either. Yes, despite working with many hotels and brands we still spend A LOT of money when we travel. 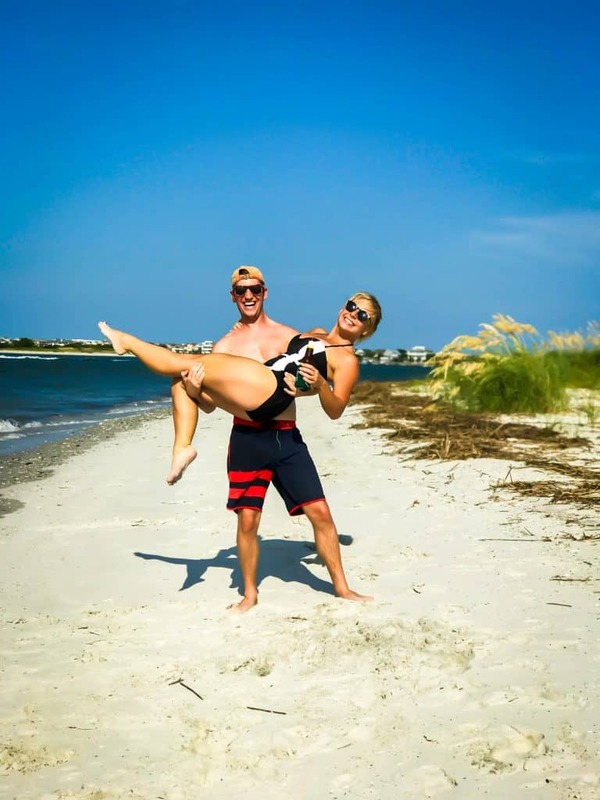 Enjoying the beach in Wilmington! I was happy to be home this summer because it meant I could go to one of my best friend’s wedding and my stepbrothers. Both were beautiful and it was great to see the love all around and be involved with all the festivities. Being on the road full time means I don’t get to do these type of things, and it felt good to say yes to events for once. I was able to visit Cameron in North Carolina, which is where we both went to school and met. We took a mini trip to Asheville and enjoyed the mountains and also stayed on the coast where Cameron’s family lives. Neither of us had ever been to Scotland so we decided that we should go back to Europe and travel to some of the places we had missed previously. Our first stop after our visit home was to Scotland. We embarked on an eight-day road trip around the Northern Highlands. 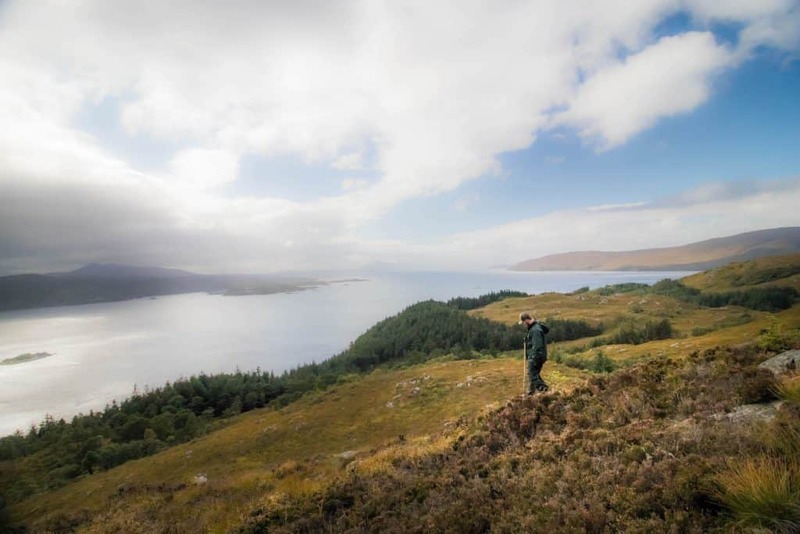 Winding roads, turquoise water, dramatic cliff faces…I never knew Scotland was so beautiful – even with all the rain! After the trip, I decided to make a video of our trip on Facebook and YouTube. The Facebook video took off like wildfire and within the first 24 hours, it had over one million views. We’ve had a few viral videos in the past, but nothing that has spread that fast. Although I made the video over four months ago it still gets shared and has over seven million views now. Thanks to the video, we gained a huge amount of UK followers and we are happy to have them on board! There is a direct flight from Edinburgh so we figured what the heck! 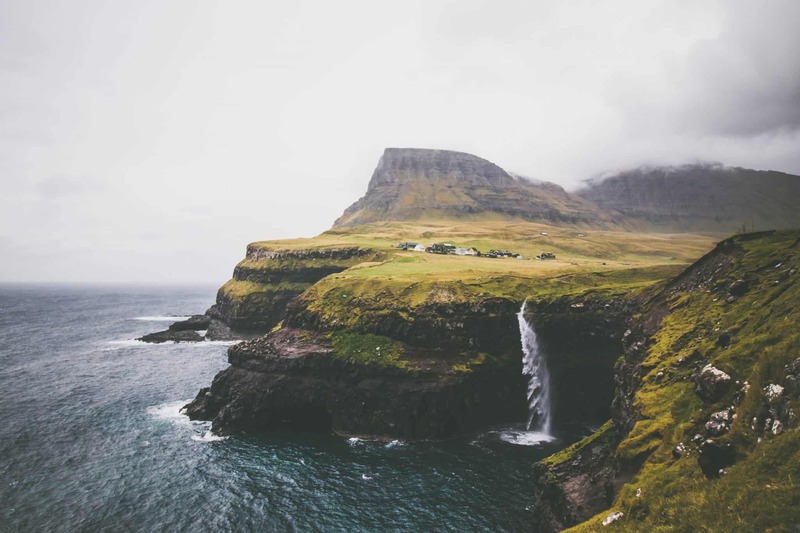 The weather is pretty unpredictable in the Faroe Islands and it rained almost our entire weeklong trip. Although we wish the rain could have let up just a little the islands were still gorgeous and unbelievable! In all our travels they are the most surreal place we have ever seen or experienced. We never write about blogging, and it’s not something we plan on doing in the future. There is just so much of the same information out there on “how to start a travel blog” and “how to be location dependent,” that we don’t see the need to add more clutter to the mix. So, this may be the only time you see us reference our blog this year. 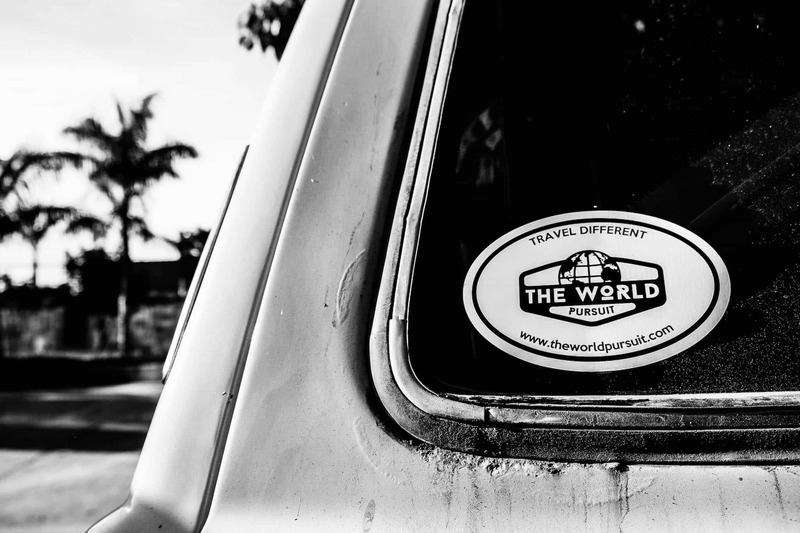 At the start of 2017, we had about 35,000 readers on The World Pursuit. 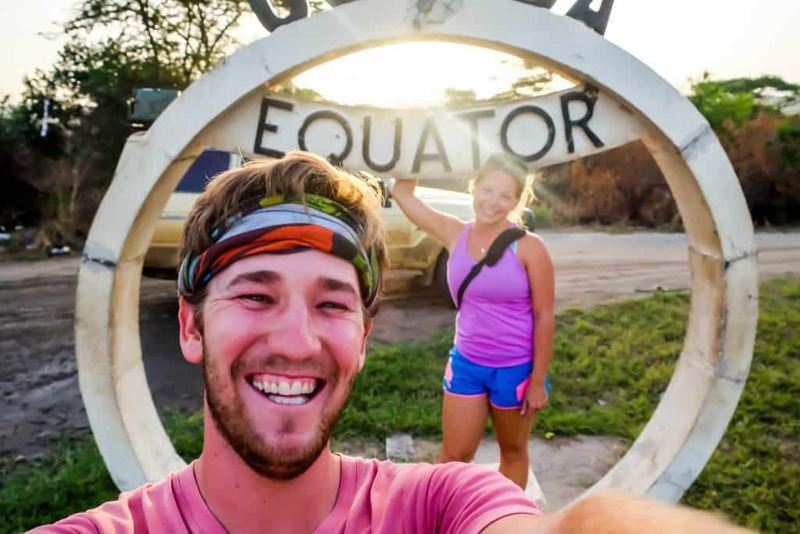 We were small to many other blogs, but we felt happy with how many people joined us on our adventure through Africa. However, we wanted to build our website and connect with an audience. For all the fun we were having during the day we spent every night in front of our laptops. We still do, and I’m not sure that will change anytime soon. However, the truth is we aren’t on vacation. We are traveling of course, we are promoting a destination, we are creating video, we are working – just when the rest of you are sleeping. Although I know to outsiders it looks like we just type some words on the computer and post a photo to Instagram and call it a job. But in reality, it is a lot of work, and we put an incredible amount of time into building our brand, our website, and our social channels. Please don’t take it as complaining, as I wouldn’t change it for anything. The freedom to work from anywhere at anytime is liberating although we put more than 40 hours a week (each) into The World Pursuit. I guess what I’m trying to say is all our hard work in 2017 paid off! We’ve quadrupled our readership this past year and are now averaging 100,000 readers to our website a month. That means over a million people will visit this website in 2018. And with the next year and more hard work, we hope to double that! We started the new year with a short fun video of our time in Botswana. At the time the video took off on Facebook and we decided we should be showing more of our Africa trip through video. Instead of just doing video or a blog we stuck with both. A strategy we have still stuck with over a year later, though it takes a ton of extra work and something we find we don’t always have time for. However, we’ve seen the reward with video and have landed a few campaigns and paid projects because of our video work. In 2018 we are going to continue shooting video of the destinations we travel. Our goal is to do more vlog style videos with us in them rather than some of the drone videos we’ve had so much success with in the past. Stay tuned and be sure to subscribe to our YouTube channel! November brought us back to gloomy London for our first travel conference, World Travel Market. We spent two days meeting with tourism boards and PR firms pitching ourselves and our blog around. We left the conference with a few definite projects to work on in 2018, and who knows maybe we will hear back from other destinations. It’s hard to ever know with travel conferences if they are worth going to or not, but regardless the experience was a fabulous networking event for our rather new blog. More than two years ago we realized we wanted a home outside the United States. The plan was to travel for a bit and decide where that home would be located. However, plans change and travel opportunities present themselves so we still haven’t settled down and haven’t called anywhere home since we left New York in 2015. Long-term travel is exhausting. We live out of a suitcase, find ourselves moving locations every two to three days, and we’re never in a familiar location. On top of that, we feel like we’ve lost many friendships and haven’t gained many meaningful new ones. We are not near family, fail to keep a consistent diet, commit to hobbies, and don’t feel as fit as we could – something that is important to both of us. In an ideal world, we would find a different base somewhere in the world every year. We would still travel, just not full time. We would be able to call somewhere home! 2018 is the year we are going to make that happen and we’re prepared to turn down new opportunities to hit the goal. Don’t get us wrong – this lifestyle has done great things for us. We’ve learned so much about the world, about each other, and have seen more of the world than most in a lifetime, and we’re not even 30. It’s hard to focus on our business and other goals when we’re spending the night sorting out bus timetables and where we are staying the next day. A few have asked we want to base ourselves and we can’t seem to make up our find. Places that are on our list are Bali, Colombia, British Columbia, and Nicaragua. Bali because it’s cheap, beautiful, warm, and a hub for digital nomads. Colombia for the culture and a big desire for us to learn Spanish, not to mention it’s gorgeous. 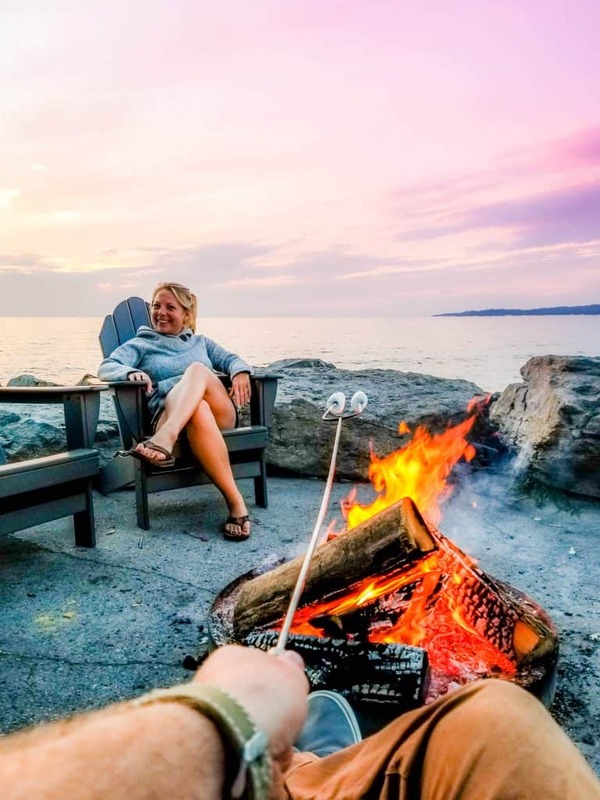 British Columbia to live out our mountain vibes further our photography and active lifestyle – it’s also simple as Americans to live in Canada as we work remotely. And who doesn’t want to live on the wonderful beaches of Nicaragua and again we want to learn Spanish. We have started the new year in the mountains. For a few years, we’ve wanted a proper snowboard season. We are both intermediate riders, but this winter we’ll be heading to various ski resorts around Italy, Switzerland, Austria, Liechtenstein, Canada, and maybe even Japan to improve our riding and get more into the sport. Cameron has long dreamed about pursuing backcountry riding and we’re hoping to progress to that level in a few years. Watch out mountains! We love feeling like we have a hobby again (that isn’t working on our blog). After that, the world is an open book. We’ve spent all of the past three years in North America, Africa, and Europe. And while we can’t wait to get back to Africa and love Europe we have come to the conclusion that we need and want to focus on other destinations. Although we traveled to South America, Asia, and Australia years ago we don’t have any content on this website about those regions. so we are going to aim at showing you guys around lesser known places in between finding a home. As mentioned, we are going to be doing a lot more filming and growing our YouTube and Facebook video. We’ve also talked about running tours to Africa in 2018 so we can show you just how amazing it is! Mozambique and Namibia are on the table. What do you guys think? Is there anything that you would like to see or a way we can help you travel? Not much of a reader? Check out the video!